MIT researchers frustrated graphene electrons with Andreev states to create exotic superconductivity properties from the graphene. In the search for the most efficient superconductor, physicists have discovered new, intriguing properties by enhancing graphene with added superconductors. Superconductive materials are already used in medical diagnosis. In MRI instruments, for example, they allow the generation of a powerful and stable magnetic field. In the future, superconductors, which carry a supercurrent with zero resistance, would also be used to make power storage facilities and power lines hyper-efficient. Magnetic-levitation is another potential application (one that could be used with a hyperloop system). Superconductive magnets would transport vehicles with zero friction. Recently, scientists at the University of Cambridge have found a way to unleash graphene’s superconducting capabilities. 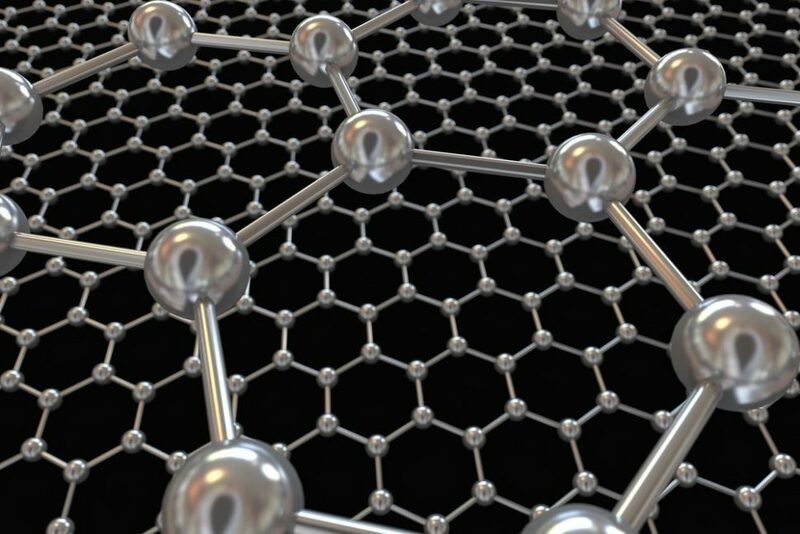 Now, MIT scientists have taken graphene’s superconductive property to the next level. MIT physicists have demonstrated that graphene can achieve a whole new type of superconductivity, and the trick is bringing graphene into contact with two other superconductors. The team of researchers, whose findings were published in the journal Nature Physics, exfoliated a chunk of graphite to get a tiny, few hundred nanometers wide flake of graphene. On a platform, they placed the flake between two electrodes made from aluminum, which at low temperature behaves like a superconductor. Then, using a dilution refrigerator, they cooled the structure to 20 millikelvin (about -460° F), to activate the superconductivity property of aluminum. This process radically altered the electron state of the graphene that, instead of behaving as individual and scattered particles, paired up and flew along as a supercurrent, i.e., without energy dissipation. MIT scientists relied on a phenomenon called “Andreev states,” which is an electronic configuration that enables the traditionally non-superconducting materials to carry an electric current that flows without dissipating energy. Unlike electron pairs in conventional superconducting materials, graphene electrons get frustrated because of the superconducting layers (aluminum in this case) that exert two opposite forces: they are pulled in two different directions and get stuck in the middle. It’s these ‘frustrated graphene electron pairs’ that carry the supercurrent and bestow graphene with superconductivity qualities. The study of MIT team is the first attempt to investigate the ‘frustrated states’ (Andreev states) arising from the superconductivity proximity effect.